Ready for a radical, radiant red look? If your little guy is on the hunt for the perfect new jammers, he is going to flip for the Zoggs Douglas Red Boys’ Jammers. 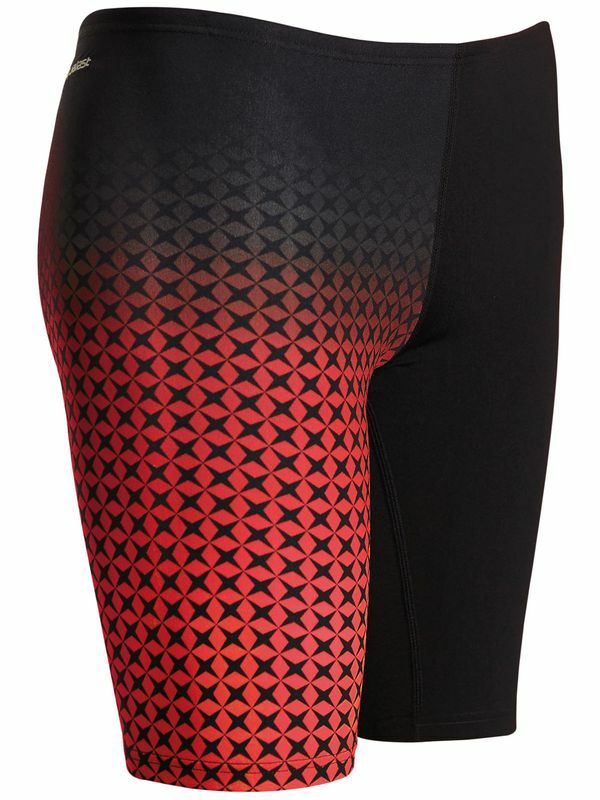 With a cheery cherry red geometric pattern on one leg along with a jet black leg, these jammers are pretty and perfect! More than just stylish swimmers, the Zoggs Douglas Red Boys’ Jammers were made with your little fish in mind! Thanks to the maximum UPF 50+ sun protection, these shorts are perfect for the beach. Best of all, the 100% chlorine resistant fabric will retain its shape and colour through countless swims.